Gaming on a laptop used to be a pleasure reserved for the rich few who could afford the combination of portability and power, but now we live in a world where this notion is fully achievable for many. As a result you can get stunning 4K graphics for gaming on the go, or a capable mobile gaming rig on a budget that leaves you the cash to splash out on more games. The key is to work out exactly what you need from your gaming laptop so that you can spend your money most wisely to get the perfect laptop partner for you. Is portability key? Battery life what you need from sessions? Then there are specific gaming elements: speed, graphical performance and display quality are all key. Since you're potentially on the move with this rig, you probably want decent looks too. So, with all that in mind, we've dipped into the important areas you need to consider when buying a gaming laptop and have even laid out a few choice AO.com-flavoured options for you to pick from. The reason many savvy gamers go for a PC over a console is the freedom it offers when it comes to graphics. You have the option to pick the level of quality you game at, allowing you to find the perfect balance between high resolution and smooth gaming. You can often also upgrade your machine in the future, allowing you to change with the times as new, more graphically-intense games arrive. Plus, with the top-end machines you even have VR-ready power, meaning you can pop a headset on and get truly lost in your gaming worlds. Newer gaming laptops offer SSD storage for speed alongside a classic HDD for extra space, along with huge amounts of RAM and top-end processors. They even cram in top-end graphics cards from the likes of Nvidia, like this MSI GT75 Titan 8SG. It hosts the top-end Nvidia GeForce RTX 2080 GPU with 8GB of memory, along with a 17.3-inch screen, 8th gen Intel Core i7 processor, 32GB of DDR4 RAM, 1TB hard drive with 256GB SSD and cool boosting tech. It's not cheap but you'll be hard pressed to find any game that can slow this wonder machine down. Or stay on budget and opt for the HP Omen that still gets you a 6GB Nvidia GeForce GTX 1060 GPU along with 8GB of DDR4 RAM, 1TB and 256 GB SSD, 8th Gen Intel Core i7 and 17.3-inch display. Gaming power is great but many need a machine that can function as a 'normal' laptop day to day. That means it needs to have a decent processor at its heart with a healthy portion of RAM. Lots of options come with SSD storage for the best speeds and battery efficiency. There are also plenty of 8th gen Intel Core i7 laptops which promise excellent multi-tasking without leaning too heavily on the battery. 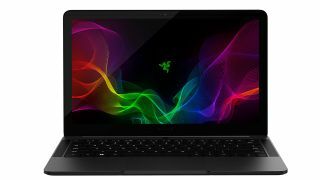 If you want the power of high–end gaming graphics as well as top overall performance, then the Razer Blade 15 which features the Nvidia GeForce GTX 1080 with 8GB of RAM, is a great options that's also VR capable. The 32GB of RAM and 512GB SSD probably help there too. You also get a 7th-gen Intel core i7 quad core processor and a lightweight and thin build for use anywhere you need to go. One of the great things about gaming laptops is that the companies that make them know gamers want something that looks cool. That might not mean a super slender build with metal and glass – as that can hinder cooling and performance. Instead light can act as a useful agent of awesome when it comes to looks. Backlit keyboards are more important when it comes to gaming than in many other situations. Hitting the right key, while gaming in the dark, for the most immersive experience, can be the difference between (virtual) life or death. Getting that blend between being clear to see but not too bright that it distracts from the game is what gaming laptops excel at. Screen lighting is also an important factor in creating the most immersive gaming experience. That's why a lot of gaming laptops come with useful presets which let the display work best for the game you're playing. The Razer Blade Stealth 13.3 offers excellent lighting combined with great specs thanks to an 8th gen Intel Core i7, 16GB of RAM, 512GB SSD and RGB lit keyboard.